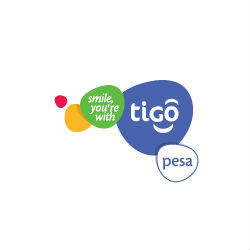 Three months after the company became the first mobile money service to pay profit to its users, Tigo Tanzania has made the first regular quarterly payment to its 3.6 million Tigo Pesa users worth approximately USD 1.8 million. In its initial payment three months ago, Tigo paid out nearly USD 8.64 million from its Tigo Pesa Trust Account to its users and, according to Tigo General Manager Diego Gutierrez, the second round of payments confirms their commitment to their customers and will be distributed to Tigo Pesa users including super agents, retail agents and individual users of the service. Mr. Gutierrez went on to explain that the larger initial payment was due to the fact that it had been accumulating over a period of more than three years and the second payment had been accumulating for just three months. Additionally, he explained that the average return per customer will be based on the average daily balance in their Tigo Pesa e-wallet with the next payment scheduled for February 2015. Tigo is the largest commercial brand of Millicom and not only offers a diverse product portfolio in voice, SMS, high-speed internet and mobile financial services, but also leads the way in pioneering innovative products including Facebook in Kiswahili, Tigo Pesa App for Android & iOS users, and East Africa’s first cross-border mobile money transfer with currency conversion.